Are you searching for taking admission in CBSE Boarding Schools in Delhi? 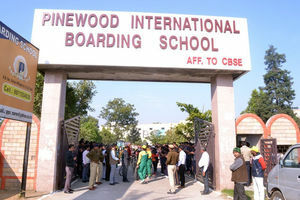 Pinewood International School is one of them. We are one of the leading and famous residential CBSE based school in Delhi NCR for boys and girls. Our school invites first list of admission for Nursery and other standard Classes. There are limited seats available for admission. So, hurry now. You should follow some parameters while taking registration in our school.